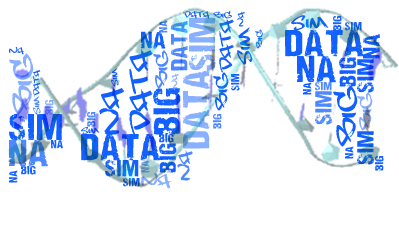 Here we present BIGNASim, a comprehensive platform including a database system and an analysis portal, aimed to be a general database for handling nucleic acids simulations. BIGNASim allows direct access to individual trajectory data and pre-computed analyses, as well as global analyses performed on the whole database. New BigData technology, such as noSQL databases (mongoDB and cassandra), ensures an efficient storage, management and retrieval of important information from huge MD trajectory files. As an initial stage, BIGNASim has been populated with the trajectories prepared during the development and validation of the ParmBSC1 force-field. The force-field was tested for more than 3 years on 100 different DNA systems (>100 μseconds of aggregated simulation time), and all the results can be easily accessed using BIGNASim interface. The technology used in BIGNASim platform assures its scalability, and the flexibility of the data layout puts no practical limits to the kind of analysis data to store. We expect it will become a reference site for groups working in MD simulations of nucleic acids.